This year’s ACC.17 was a very newsy meeting with good news for lipid lowering, and the first outcome study for the new PCSK9 inhibitors reporting. Studies also looked at extending the range of indications for new anticoagulant agents, while a study in the Bolivian Amazon has found a population with the least vascular ageing of any yet studied. The 66th Scientific Sessions of the American College of Cardiology (ACC) were held in Washington DC, USA, from March 17th–19th 2017. A South American Tsimane person of 80 years is estimated to have the same vascular age as an American person in their mid-50s, according to a study presented at the ACC. The Tsimane people – an indigenous forager-horticulturalist population of the Bolivian Amazon – have the lowest reported levels of vascular ageing for any population, with coronary atherosclerosis being five times less common than in the USA. This has led the researchers to propose that the loss of subsistence diets and lifestyles in contemporary society could be classed as a new risk factor for heart disease. He believes that “components of this way of life could benefit contemporary sedentary populations.” While industrial populations are sedentary for more than half of their waking hours (54%), the Tsimane spend only 10% of their daytime being inactive. Their subsistence lifestyle involves hunting, gathering, fishing and farming, with men and women spending an average of six to seven hours, and four to six hours, respectively of their day being physically active. The Tsimane diet is largely carbohydrate-based (72%) and includes non-processed carbohydrates, high in fibre such as rice, plantain, manioc, corn, nuts and fruits. Protein (animal meat) constitutes 14% of their diet and fat comprises only 14% of the diet – equivalent to an estimated 38 g of fat each day, including 11 g saturated fat and no trans fats. In addition, smoking was rare in the population. In the observational study, the researchers visited 85 Tsimane villages and measured the participants’ risk of heart disease by taking computed tomography (CT) scans of the hearts of 705 adults (aged 40–94 years) to measure the extent of coronary artery hardening, as well as measuring weight, age, heart rate, blood pressure, cholesterol, blood glucose and inflammation. Based on their CT scans, 85% of Tsimane people had no risk of heart disease, 13% had low risk, and only 3% of people had moderate or high risk. These findings also continued into old age, where almost two-thirds (65%) of those aged over 75 years had almost no risk and 8% had moderate or high risk. These results are the lowest reported levels of vascular ageing of any population recorded to date. By comparison, a USA study of 6,814 people (aged 45 to 84 years) found that only 14% of Americans had a CT scan that suggested no risk of heart disease and half (50%) had a moderate or high risk – a fivefold higher prevalence than in the Tsimane population. In the Tsimane population, heart rate, blood pressure, cholesterol, and blood glucose were also low, potentially as a result of their lifestyle. The researchers also note that the low risk of coronary atherosclerosis was identified despite there being elevated levels of inflammation in half of the Tsimane population (51%). “This study suggests that coronary atherosclerosis could be avoided if people adopted some elements of the Tsimane lifestyle, such as keeping their low-density lipoprotein (LDL) cholesterol, blood pressure and blood sugar very low, not smoking and being physically active,” said senior cardiology author Dr Gregory S Thomas (Long Beach Memorial Medical Centre, California, USA). The study was published simultaneously in The Lancet on March 17th 2017 (doi: 101016/S0140-6736(17)30752-3). The first outcome study with a PCSK9 inhibitor, evolocumab, has shown it can significantly lower the risk of cardiovascular events in patients with existing heart or vascular disease already on statin therapy. Earlier studies have already shown that PCSK9 inhibitors can significantly lower levels of low-density lipoprotein (LDL) but this is the first, large, long-term, randomised clinical trial with evolocumab to show a cardiovascular benefit. the primary endpoint – a composite of myocardial infarction (MI), stroke, hospitalisation for unstable angina, revascularisation, or cardiovascular death – by 15% compared to placebo. the secondary endpoint – cardiovascular death, MI or stroke – by 20%. Data showed a greater benefit over time with reduction at the end of the first year being 16%, increasing to 25% beyond the first year. These results are summarised in table 1. Most of the patients in the study (81%) had a prior MI, 19% had a prior stroke and 13% had peripheral arterial disease. The average age was 63 years and the median baseline LDL cholesterol was 92 mg/dL (2.38 mmol/L). All were on a moderate-to-high intensity statin regimen and were randomised equally to receive either evolocumab injections (140 mg every two weeks or 420 mg every month) or matching placebo. Patients were followed-up every 12 weeks for a median of 26 months. The benefit was achieved with lowering LDL cholesterol well below current targets. At the end of the study, LDL cholesterol had been reduced by 59% to a median of 30 mg/dL (0.78 mmol/L) in the evolocumab group. Reductions in the primary and secondary endpoints were consistent across all subgroups, including those with the lowest LDL cholesterol at baseline (74 mg/dL [1.91 mmol/L]), in whom evolocumab reduced LDL to 22 mg/dL (0.57 mmol/L). “We’ve never been able to plumb these depths before. These data strongly suggest that patients benefit from lowering LDL cholesterol well below current targets,” said Dr Sabatine. Safety data showed the rate of adverse events, including allergic reactions, neurocognitive, new-onset diabetes and muscle-related problems, were the same in both study arms. Rates of injection site reactions were slightly more common with evolocumab (2.1 % vs. 1.6 %), but the vast majority were mild, and the overall rates of stopping the study drug due to suspected treatment-related adverse events were low and similar in both groups (1.6 % vs. 1.5 %). No patients in the study developed neutralising antibodies. The FOURIER study was published simultaneously in the New England Journal of Medicine on March 17th 2017 (doi: 10.1056/NEJMoa1615664). A FOURIER substudy, also presented at the ACC, has shown that adding evolocumab to statin treatment showed no evidence that it caused memory loss or other problems with cognition and thinking. Some previous studies have suggested a link between high-dose statins and memory difficulties and a link between PCSK9 inhibitors and cognitive side effects. This led to concern that, although the brain can make all the cholesterol it needs for normal memory and brain functioning, lowering LDL cholesterol to extremely low levels might deprive the brain of needed cholesterol. The EBBINGHAUS (Evaluating PCSK9 Binding Antibody Influence On Cognitive Health in High Cardiovascular Risk Subjects) substudy enrolled 1,972 of the FOURIER patients in a double-blind, randomised trial, conducted in 30 countries and looked at changes in cognition, including memory loss, attention and reaction time. Patients were asked to undergo a set of validated neurocognitive tests when they started the study and at 24, 48, 96 weeks, and at the end of the study. They were also asked to complete questionnaires about their cognition before, during and at the end of the study. The study found that evolocumab was non-inferior to placebo on the primary endpoint – the spatial working memory strategy index – a measure of executive function (high-level thinking and decision making). The mean baseline score was 17.8, with a mean change from baseline score of -0.2 and -0.3, for evolocumab and placebo, respectively. There was also no statistical difference between evolocumab and placebo on the secondary endpoint (working memory, memory function, and psychomotor speed). The results were consistent regardless of the LDL cholesterol levels achieved including patients with the lowest LDL cholesterol levels of <25 mg/dL (<0.65 mmol/L). 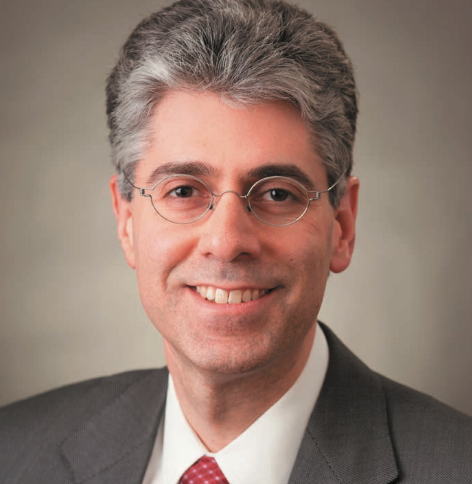 “We found no important differences between patients taking evolocumab and those on placebo on any of the four measures of cognitive functioning, in the patient questionnaires, or in the physician-report of adverse cognitive events,” said Dr Robert Giugliano (Harvard Medical School, and the Brigham and Women’s Hospital, Boston, USA), the lead author on the study. He added that the results should “enable physicians to feel more secure about adding evolocumab to a statin to achieve very low levels of LDL cholesterol without worrying that patients’ memory or cognitive functioning will be affected”. A limitation of the substudy was that the median follow-up was 19 months, but the study is ongoing. Raised low-density lipoprotein (LDL) cholesterol levels account for approximately half the population-attributable risk of MI.1 Consequently, LDL cholesterol reduction has been crucial to modifying the future risk of cardiovascular events in patients with known atherosclerosis since the publication of the 4S trial in 1994.2 The theory that ‘lower LDL is better’ is well established.3 Modern statins, such as atorvastatin, are cheap, safe and generally well tolerated and can reduce LDL cholesterol levels by up to 55%.4 Adding ezetimibe lowers levels by a further 24%.5 With every further reduction in cholesterol in clinical trials, there has been a predictable reduction in cardiovascular events. However, would there be any benefit in lowering LDL further and more importantly would it be safe? The paradigm has changed. ‘Lower LDL is better’ has become ‘lowest LDL is best’ and we now have another safe therapeutic tool to achieve this. 6. Goldstein JL, Brown MS. Familial hypercholesterolemia: identification of a defect in the regulation of 3-hydroxy-3-methylglutaryl coenzyme a reductase activity associated with overproduction of cholesterol. Proc Natl Acad Sci USA 1973;70:2804–8. Extending anticoagulation with either prophylactic or treatment doses of rivaroxaban for one year is superior to aspirin in reducing recurrent venous thromboembolism (VTE). The goal of EINSTEIN CHOICE was to assess the safety and efficacy of rivaroxaban 20 mg daily (treatment dose) and rivaroxaban 10 mg daily (prophylactic dose) compared to placebo (aspirin) in patients with symptomatic VTE who had completed a six to 12-month course of anticoagulation. The international, multi-centre, study enrolled 3,396 patients who were randomly assigned in a 1:1:1 ratio to either rivaroxaban 20 mg once daily (n = 1,107), rivaroxaban 10 mg once daily (n = 1,127), or aspirin 100 mg (n = 1,131). Treatment was continued for at least another six months, but typically up to one additional year. The results, presented by Dr Phil Wells (University of Ottawa, Ontario, Canada) at the ACC, are summarised in table 3. The study’s primary endpoint – recurrence of VTE – occurred in 1.2 % of patients receiving 10 mg of rivaroxaban and 1.5 % of those receiving 20 mg of rivaroxaban compared with 4.4 % of patients receiving aspirin. The difference was statistically significant for both rivaroxaban groups compared with aspirin. There were no statistically significant differences on the secondary efficacy endpoints, which included MI, ischaemic stroke, systemic embolism and death from any cause. The trial excluded patients who had a contraindication to continuation of anticoagulation or who required extended anticoagulant therapy at therapeutic doses or antiplatelet therapy. Similarly patients who were on average, 58 years, were younger than those typically presenting with VTE, so the results may not be generalisable and further studies are needed to address these patient groups. VTE affects approximately one in every 1,000 people in the UK and it is responsible for more than 25,000 deaths annually. In patients with VTE, anticoagulation therapy is recommended for three months or longer, depending on the balance between the risk of recurrent VTE and the risk of bleeding. However, the risk for patients with unprovoked VTE or with ongoing risk factors experiencing a second event is up to 10% in the first year if treatment is stopped. The paper was published simultaneously on March 18th 2017 in the New England Journal of Medicine (doi: 10:1056/NEJMoa1700518). The GEMINI-ACS-1 trial has shown that in addition to an antiplatelet medication, low-dose rivaroxaban does not result in higher bleeding rates compared with aspirin, in patients treated one to 10 days after an acute coronary syndrome (ACS) event. aspirin (100 mg) and a P2Y12 inhibitor (clopidogrel 70 mg or ticagrelor 90 mg bid) within 10 days of an ACS event in 3,007 patients followed for one year. Patients were followed up for one year and the primary endpoint – TIMI (Thrombolysis in Myocardial Infarction) non-coronary artery bypass grafting (CABG) clinically significant bleeding – was non-significant and occurred equally in 5.3% of rivaroxaban patients versus 4.9% for aspirin patients (p = 0.58). Ischaemic endpoints were also similar, but the trial was not powered to assess these independently. Results for some secondary endpoints are shown in table 4. “This study is important because it is the first to show that replacing aspirin with a newer, more targeted drug – low-dose rivaroxaban, an anticoagulant – presents no additional risk of bleeding complications when given as dual therapy with an antiplatelet drug,” said Dr Ohman. In the earlier ATLAS ACS 2–TIMI 51 trial, where rivaroxaban was added to background DAPT – a triple therapy approach – it was associated with a significant reduction in the composite of cardiovascular death, MI, and stroke, and resulted in a nominal reduction in cardiovascular death, but there was excessive bleeding with this “triple-therapy” approach. GEMINI-ACS-1, using the combination of rivaroxaban with P2Y12 inhibition in a “dual-pathway” approach, adds to the growing body of literature suggesting a role for low-dose rivaroxaban in patients post-ACS. This trial suggests that dropping aspirin, as in the WOEST (What is the Optimal antiplatElet and anticoagulant therapy in patients with oral anticoagulation and coronary StenTing) trial, and adding low-dose rivaroxaban to a P2Y12 inhibitor has a similar bleeding profile to DAPT. The ischaemic benefit will need to be tested in a larger phase III trial. Of note the low-dose, sometimes called ‘baby dose,’ of rivaroxaban is currently not licensed for use in this indication. The paper was published simultaneously on March 18th 2017 in The Lancet (doi: 10.1016/S0140-6736(17)30751-1). The RE-CIRCUIT study has shown that uninterrupted dabigatran was superior to uninterrupted warfarin at preventing bleeding complications after ablation for AF. The goal of RE-CIRCUIT (Uninterrupted Dabigatran Etexilate in Comparison to Uninterrupted Warfarin in Pulmonary Vein Ablation) was to evaluate uninterrupted dabigatran, a non-vitamin K oral anticoagulant (NOAC) compared with uninterrupted warfarin. The study enrolled 678 patients with paroxysmal or persistent AF undergoing catheter ablation, who were randomised to four to eight weeks of uninterrupted dabigatran 150 mg twice daily (n = 339) versus uninterrupted warfarin with international normalised ratio (INR) 2–3 (n = 339). The duration of follow-up was eight weeks. The results, presented by Professor Hugh Calkins (Johns Hopkins University Hospital, Baltimore, USA) showed that the primary outcome – incidence of major bleeding – was significantly reduced in the dabigatran group (1.6%) compared to the warfarin group (6.9%) (p < 0.001). There were fewer pericardial effusions and groin haematomas in the dabigatran group. The secondary outcomes showed that stroke or transient ischaemic attack (TIA) was 0 with dabigatran compared to 1 (TIA) with warfarin. Serious adverse events were 3.3% in the dabigatran group compared to 6.2% with warfarin. Commentators therefore suggest that the trial supports the use of uninterrupted dabigatran over warfarin during AF catheter ablation. Anticoagulation: what is new from ACC? The non-vitamin K oral anticoagulants (NOACs), including dabigatran, rivaroxaban, apixaban and edoxaban, have had a major impact on the treatment of AF and venous thromboembolic disease (VTE), representing the first advance on warfarin and the vitamin K antagonists for over 60 years. Three presentations from the recent ACC try and look for new areas where these drugs may be useful. The most useful study presented was EINSTEIN CHOICE, which demonstrated better efficacy with similar safety to aspirin in patients with deep vein thrombosis (DVT) treated for a further one year following an initial treatment period of six to 12 months. The safety data were particularly impressive, with major bleeding between 0.3–0.5%. Two doses of rivaroxaban were studied, 10 and 20 mg daily, with no difference in reported outcomes. Thus it is likely that the indication for prolonged treatment will go for the lower dose, similar to the indication for apixaban. It was somewhat surprising that around 60% of patients had a provoked DVT, which would normally not require prolonged therapy in the UK. This does not, however, detract from the impressive safety data. Further work is still required to identify which patients require prolonged, essentially lifelong, therapy. The GEMINI-ACS-1 study was less enlightening. This study reported safety data for low-dose rivaroxaban (2.5 mg bd) compared with aspirin post-acute coronary syndrome (ACS). All patients also received a P2Y12 inhibitor, mainly clopidogrel. There was similar bleeding in both groups but this does not really move us forward in terms of where to use NOACs in ACS. Further work is required. I remain intrigued as to why a bd dose of rivaroxaban is required in ACS. The RE-CIRCUIT study was encouraging, demonstrating less bleeding with uninterrupted dabigatran 150 mg bd, compared with uninterrupted warfarin aiming for an INR of 2–3 in patients undergoing ablation for AF. This should encourage clinicians to utilise NOACS more in this situation. The question remains as to what to do with the anticoagulant post-ablation. Overall, these are marginal steps forward. This is not surprising given the major impact NOACS have had, and continue to have in the more common indications of AF and initial treatment of VTE. Whilst the NOAC companies will always seek new indications for their use, for me the main task for clinicians remains to treat those patients with a known indication appropriately. This is particularly true for AF. Two-year data showed no difference in the combined rate of stroke and death from any cause when comparing the use of self-expanding transcatheter aortic valve replacement (TAVR) with standard open-heart surgery in intermediate risk patients with severe aortic stenosis (AS). The SURTAVI trial, presented at the ACC, included 1,746 patients with symptomatic, severe AS, considered at intermediate risk for open-heart surgery. They were randomised equally to TAVR or surgical aortic valve replacement (SAVR). The study was the second to compare TAVR and SAVR but the first to look at outcomes using the self-expanding CoreValve® and Evolut-R bioprosthesis valves. It was carried out at 87 centres in the United States, Europe and Canada. Results (see table 2) showed the primary endpoint of all-cause death and disabling stroke – 14 % for surgery and 12.6% for TAVR – was comparable at two years. The investigators also noticed that compared to surgery, TAVR had significantly less 30 days stroke, acute kidney injury, atrial fibrillation (AF) and transfusion use and a superior quality of life at 30 days. “We found exceedingly low mortality at one and two years, which should give us great confidence as we move into lower risk that these outcomes are very good,” said lead author Professor Michael J Reardon (Houston Methodist Hospital, Houston, USA) at the ACC. The study was published simultaneously in the New England Journal of Medicine on March 17th 2017 (doi: 10.1056/NEJMoa1700456).